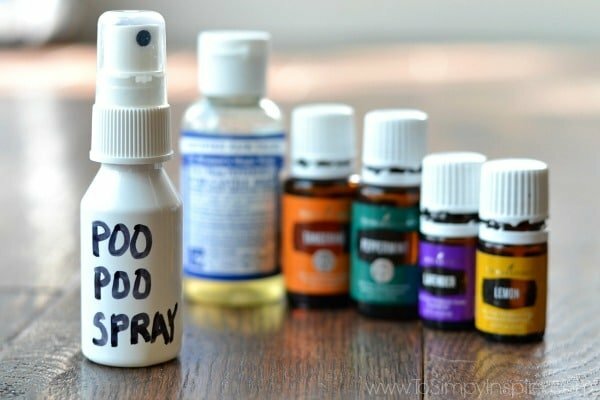 This easy recipe for homemade Poo Pourri Spray is amazing. 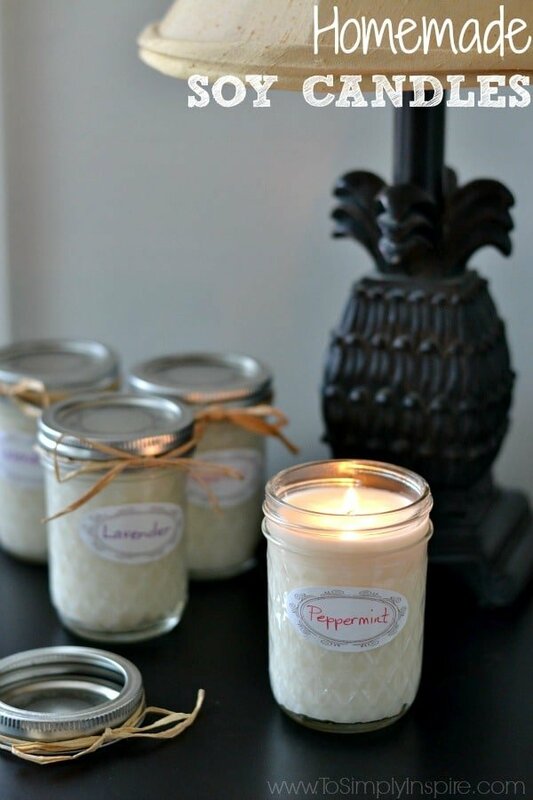 Make your house happy and prevent those dreaded bathroom odors. 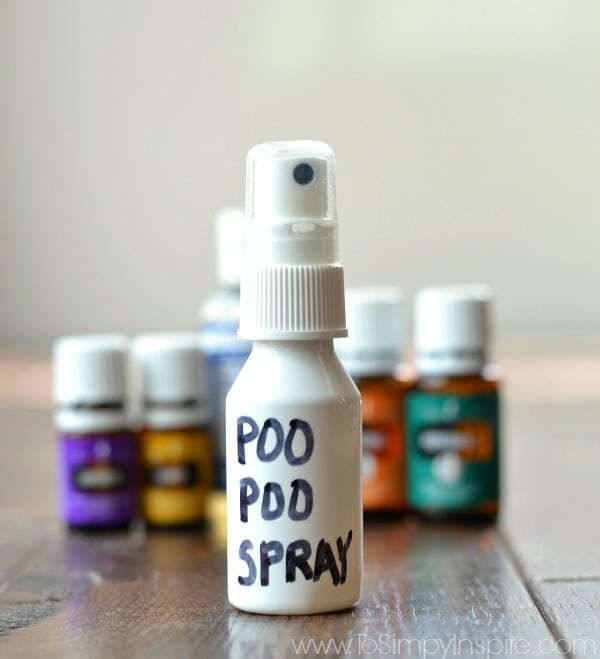 Poo Pourri? 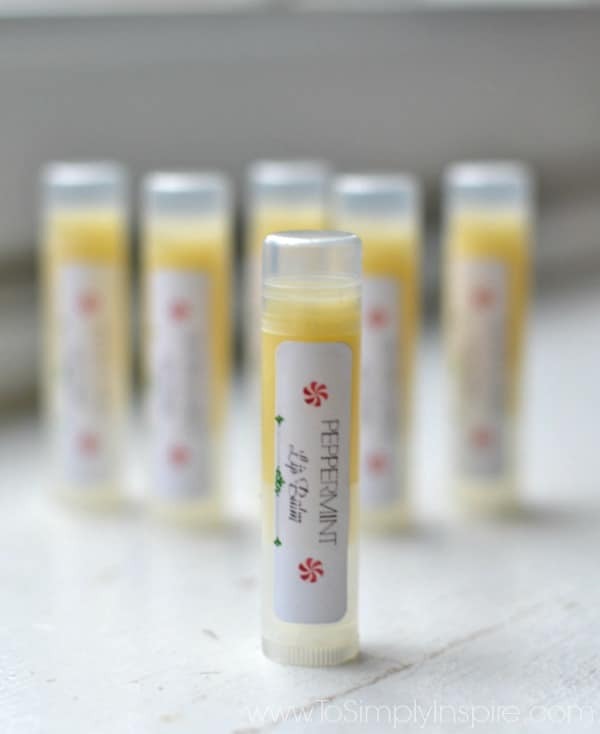 “What in the world is Poo Pourri?”, you may be asking yourself. We stumbled across this fun little invention a few years ago while strolling through an adorable local store in the mountains of New Hampshire. You know those stores. The ones that have all kinds of unique stuff. 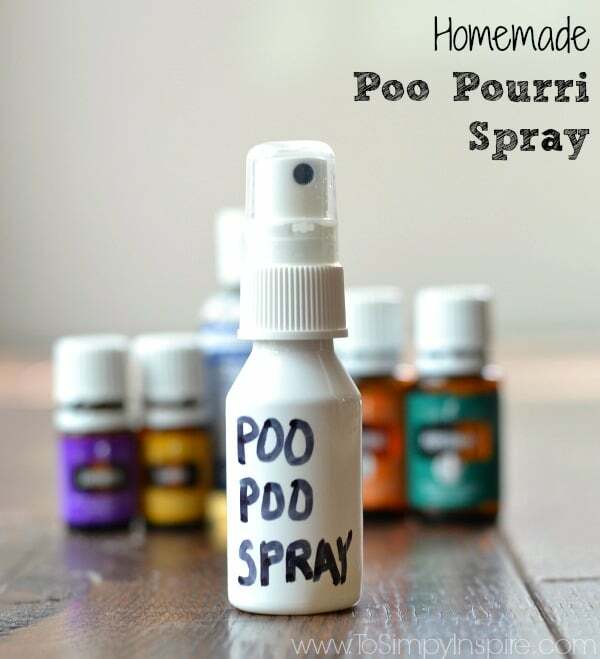 There it was, “Poo Pourri” (aka “Trap a Crap”, the manly version). The name itself makes you have to pick it up and check it out. We laughed and laughed and, of course, had to buy it to try it out. You know what? It works like a champ! Just spray 3 or 4 sprays into the toilet bowl “before you go” and the film coating “traps” odors below the pleasant smelling barrier. How about that! Add alcohol and liquid soap (or glycerine ) to the spray bottle. Then fill the spray bottle with water. Spray 3-4 times into the toilet bowl “before you go” to trap the stink. 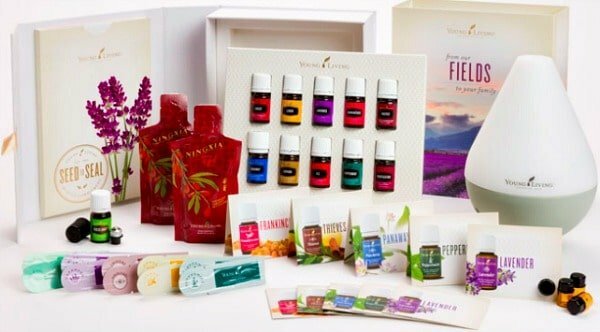 ORDER YOUR YOUNG LIVING PREMIUM STARTER KIT and receive a FREE $15 AMAZON GIFT CARD! Love it! Funny thing, my mom has a little bottle of Poo Pourri spray in her bathroom and I LOVE the way it smells. Now I can make my own 🙂 Thanks for sharing this, found you at Nifty Thrifty Sunday! 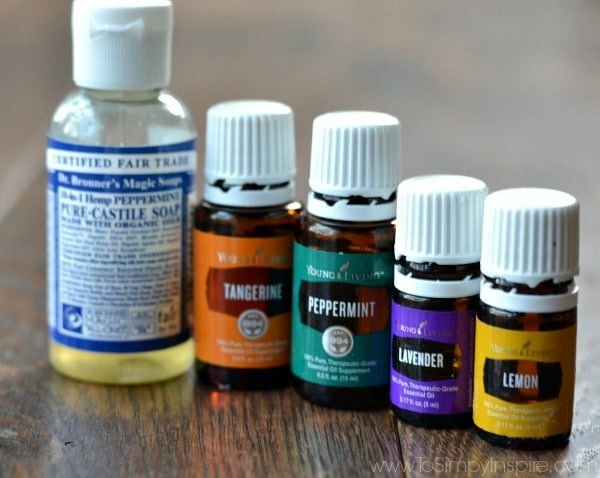 Great recipe for the “stinky”, I love all my essential oils, I will be making this thanks for sharing. awesome! I just bought some of this so I’ll have to try the DIY spray when I run out haha. it really works! This is brilliant! I also remember when this first started being advertised but didn’t have the chance to try it for some reason or another. I love the fact that you made your own! I’m definitely gonna have to give this a try. 🙂 Thanks for sharing at Create Link Inspire!